What is Autohitch Trying to do? Simply put: Autohitch is the way we shop, and in this particular instance, it’s the way people shop for cars. Most of us have seen the statistics, right? 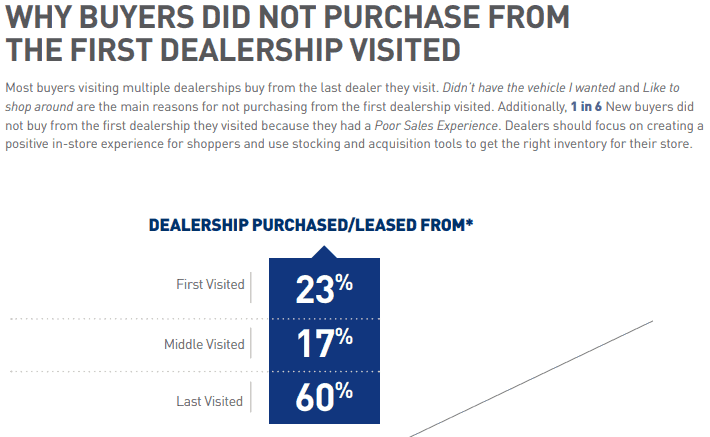 People visit one, to at most, two dealerships before making a purchase. But the visit that figure represents is the “In Person Visit”, your standard “UP”. Are we to look at that number and assume people stopped shopping? That being said, we can’t place too much blame away from the other side of the issue, can we? The consumer does require, and frankly deserves, a certain layer of protection from those that simply don’t have their best interests in mind. Has resulted largely in significant portions of the sale becoming a process in and of its own, but more importantly, a process you and the car buyer have a shrinking amount of control over. Is that really helpful in the end? I will leave that for you to decide, but what I will do is point out the salespeople and the dealerships who don’t receive certain bonuses or credits toward their volume because “Someone Else” was declared to have sold that car for their store. 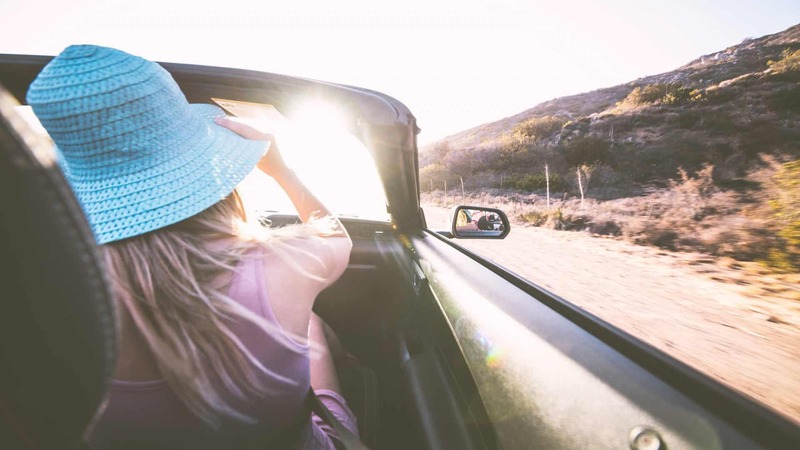 Looking back at what we saw as half-hearted fixes, then looking forward to the third parties who wish to remove the transaction from the dealership entirely, we thought there must be a better way. The Car Buying Service that puts the consumer back in the driver seat without telling the dealership where they’re going to sit. Our services start and stop with shopping local dealerships for Available Inventory and Pricing. Once a price is agreed upon and the buyer is at your dealership, our work is done. All to be discussed and decided by you and the car buyer Only. One thing that was fundamental to me from the beginning is that dealers wouldn’t have to sign up for anything to participate. If you know how to write an email to a car buyer, you’re all set! So, Autohitch has a buyer looking for pricing- What happens next? 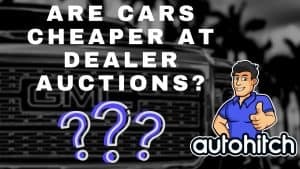 Once we have all of the information we need from the buyer, we will then submit requests for pricing from the dealerships that are the closest to our buyers. How Many Dealerships Recieve Offers? if dealerships are reluctant to trust our process, company, or simply express a policy prohibiting working with customers that are not physically in their store, we would (In the interest of the buyer) be inclined to continue sending out offers until we reach that 3-5 mark. A car buyer being able to receive service at the same dealership they purchased a vehicle at matters, as it helps to build a valuable relationship between both parties and a last loyalty to the brand. For this reason, Autohitch sends out offers with the proximity of your dealership to our buyers in mind FIRST, giving you a better opportunity to invite that customer back for future service and their next vehicle purchase. 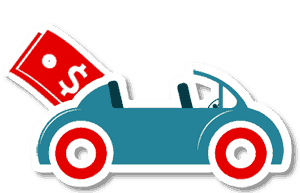 Any additional benefits such as free gas, oil changes, or anything you would like to add into your offer to entice the buyer. Typically a buyer will counter offer or ask additional questions, and we forward those to you directly. The moment a buyer wishes to accpet a dealyou are provided their contact information for setting up an appointment and the Autohitch experience is completed. What if the dealership has questions before submitting pricing? Perfectly understandable. If you have any questions simply reply back through email and all of your questions will be forwarded directly to the buyer. Including rebates and incentives that require qualification without actually qualifying the customer WILL lead to confusion so, for this reason, we ask that they be left out of any submitted offers. If you wish to qualify a customer through our process, not only is that OK, but we actually encourage and help you do so! -Simply include any questions that you would need answered to provide additional rebates or incentives and we will forward those directly to the customer and have them answered immediately. Our goal here is simple: Get customers prices they can be confident will be honored when they arrive at your dealership. In return, Autohitch “Guarantees” that no offer or price will be shared with any other dealership. To make this possible offers are never actually sent in writing to the buyers. They are discussed over the phone. Autohitch does retain a copy of the written offer on the buyer’s behalf so that if a conflict arises at the dealership they have something to reference, as do we. A More In Depth Look At The Autohitch Process. 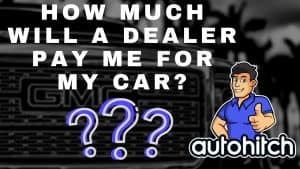 At no time will any offer from any dealership be presented by Autohitch to any other dealership (Or made public) for the purposes of driving down your prices! 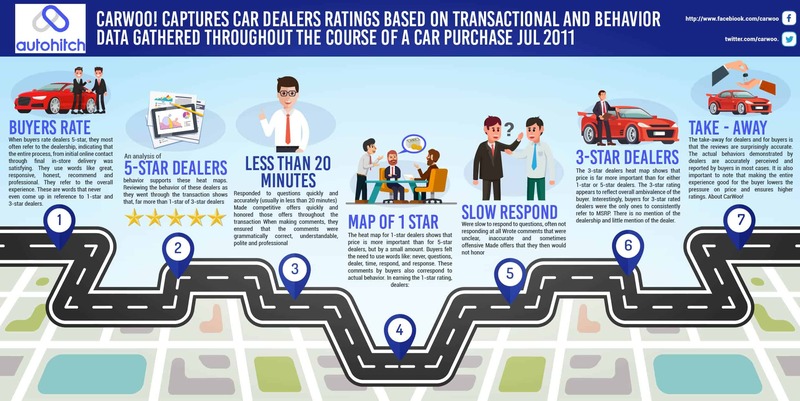 Car buyers will be shown exactly where their requests have been sent, and so will you the dealers to properly asses your competition, however, the dealerships will not receive car buyers contact information in return. Well, how do I speak with the buyer to assess their specific needs? This, again, is where the objective of the Autohitch program should be clarified. What is Autohitch trying to accomplish? Although Autohitch delivers on average a well qualified and low funnel car buyer to local dealerships, our goal at this time isn’t to replace your process for selling a car, and it certainly isn’t to take over the consumers process for buying a car. Our objective is to deliver a price, before arriving at the dealership, that the average car buyer can be confident is fair, to sometimes better than fair, and that the stated price provided will not change after they arrive. Consider our buyers in every way similar to someone inquiring about the price of any particular car- You may have it in stock, then again you may not, but either way you make them an offer on what you have or what you can get and you make that offer appealing enough they visit you rather than someone else. 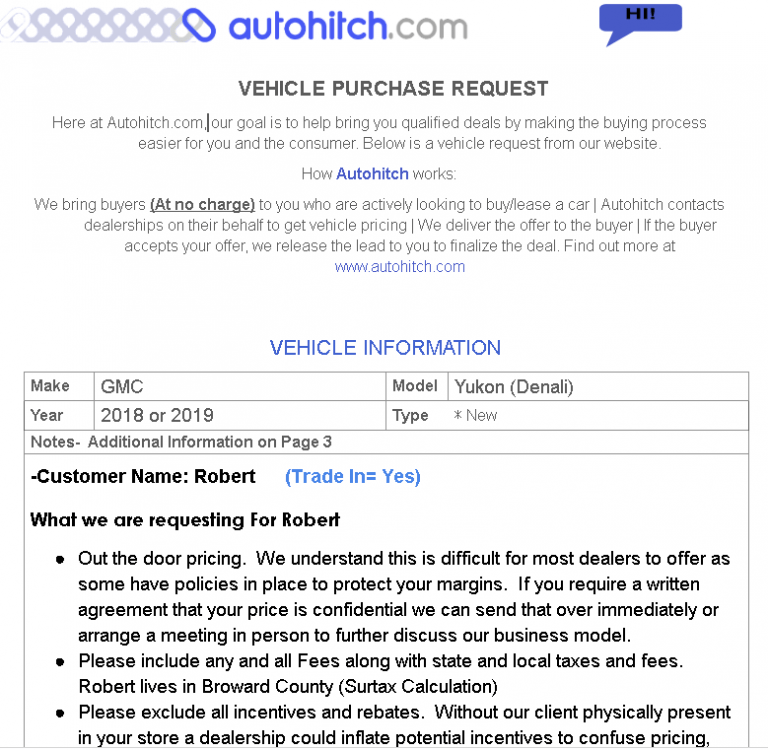 By design, as someone who has experience selling cars, I have given autohitch the feel and functionality of a marketplace where you, as the dealer, are free to do what you do best- Make the sale. If you have the car our buyer has inquired about, great, but if not, who are we to remove you from the opportunity to get someone a car they might like better? That’s the typical third control I don’t believe has any business between a dealer and a buyer. Is Autohitch A Car Broker? Not in the least, and we are also not a car concierge service. At our roots, we are a Car Shopping/ Buying Service serving the same target market as Truecar or Costcos Car Buying Program. Those consumers, of course, are the individuals who cannot be confident in their ability to determine if the prices they are given on a vehicle are either Good, Fair, or even Bad, so they turn elsewhere for assistance. How is Autohitch Different from more common Car Buying Services? For those of us with experience, pricing a car becomes almost second nature, although, arguably, it’s never really considered “Simple”. But for the average Car Buyer, who might purchase a car once every 7 years, determining what is and isn’t a “Fair Price”, when no such standard definition actually exists in the first place is, well, I’ll just say it: It’s impossible! How do our car buyers figure out pricing? So when you are in a marketplace that really has no set standard on pricing, what do you do to figure out what is right, or what is fair?? Option A would be your typical car buying service- Two different sets of suits and ties sit in rooms to pre-negotiate a price. This being a conversation the consumer, the one who pays the price, is never part of. -That would be like skipping divorce court the day the Judge and your Ex decide who gets what- Chances are there will be some decisions made that will not be in your favor! Option B is where Autohitch steps in. When you look to sell your home chances are you have no idea what it’s worth because the value is entirely dependant on your surroundings and the other homes in your area. 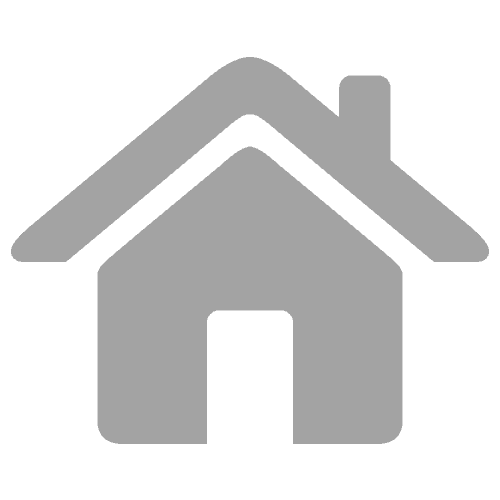 You see what other homes have sold for in your neighborhood, compare, contrast, and reach a reasonable conclusion (Excluding or including condition and upgrades). To determine the value of your home you didn’t rely on your own knowledge or instincts, you only needed to see what others were asking/offering and you let the market tell you what to expect. The truth is, doing this yourself, in all likelihood, actually made you more confident in your estimates than you otherwise would have been even if someone in the industry had just provided you with a figure. By shopping 3 local dealerships, we enable our buyers to be confident that not only are the prices shown actually Fair and “Competitive” (Because they came from real competition), but that the prices offered to them were unique to their needs, desires, and are the reflective of the market at that particular time. 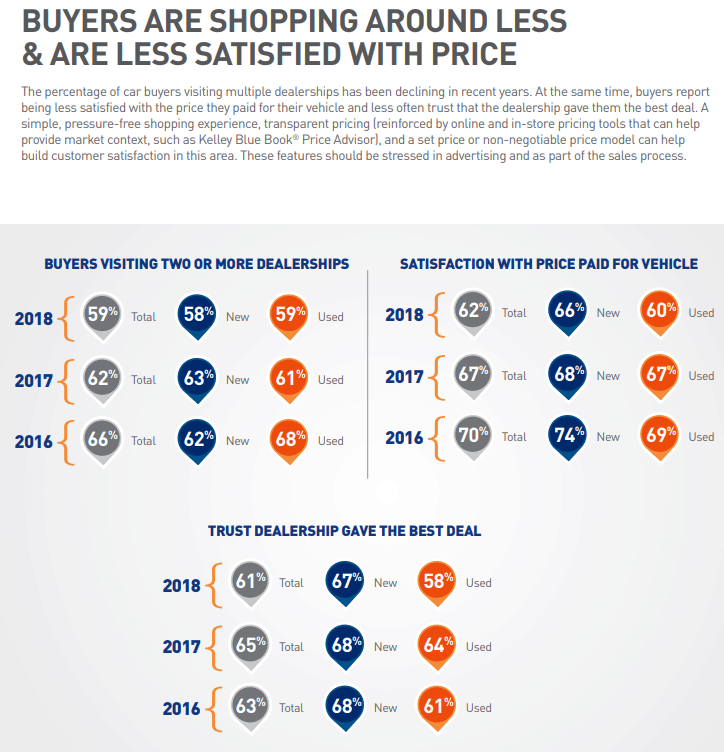 Why is “Shopping” an improvement for car buyers (And Dealers)? Because a pre-negotiated price doesn’t, and can’t possibly take into consideration all of the factors that can provide the consumer, AND THE DEALERSHIP, more leeway to structure a better deal or entice a customer to buy a car where they otherwise may not have even blinked. What if the dealership needs a sale or two to reach a large quota for the quarter or the month? You have deals you hold in reserve, but we both know you can’t make them public, so all people see are your advertised or pre-negotiated prices. Wouldn’t you rather have the opportunity to send custom offers to low funnel buyers in those final hours? Or how about re-submitting an offer that wasn’t accepted to someone still on the fence? 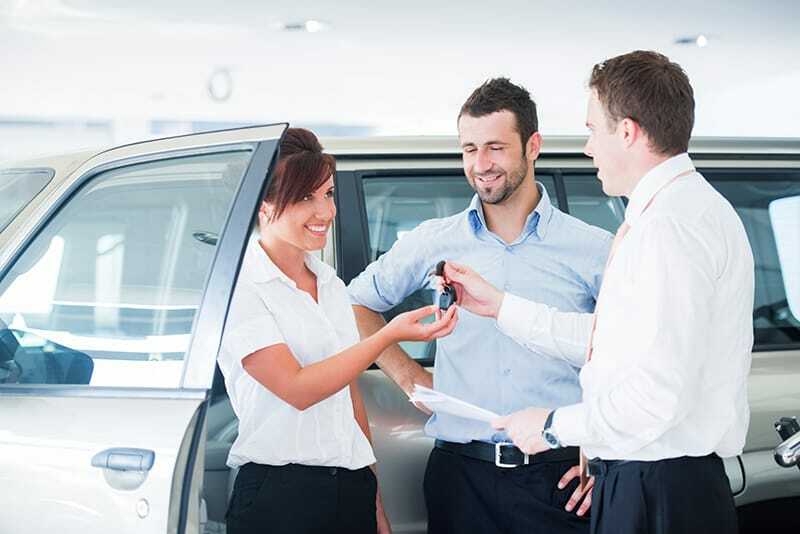 Traditionally, a car shopper will check stock on a website or by contacting the dealership. If you don’t have the car, they may look right past you. But what if you could still have the opportunity to pitch that buyer a higher model at a better price, or possibly even cross-sell? -This kind of leeway is possible when buyers are shopping on Autohitch, it’s not with listing sites and pre-negotiated buying services. Because we are simply providing a method for the buyer to shop, we don’t require access to dealers books, we don’t have dealer oversight, or expensive API’s. All you have to do is respond with an offer as you would any other shopper. However, this is important because I know this has been a major pain point for dealers dealing with other car buying services. You have dealers and salespeople that don’t get paid on deals, you have outside people looking at your books and telling you how to do business. Well, I have a better idea! We have thought about this for a while now and determined that the best path forward is to do what you do- Offer an incentive! Autohitch is currently in Beta which means we are slowly implementing our process with a very limited amount of customers that were pre-screened for our service. We are trying to be methodical so that if there are any unforeseen issues or delays along the way, they can be addressed and corrected quickly, ensuring a positive experience for both the buyer and the dealership. If you are missing any relevant information needed in order to provide our buyer with a complete offer, please forward that to us via our contact page as soon as possible so that we may supply you with the relevant information and/or request it from our buyer. Thank you for reading through this and if you have submitted an offer to one of our buyers, thank you for that as well. We appreciate all that you do in the automotive world and look forward to working with you in the future, and of course, sending you more customers!